Join us now for this Mormon Stories Podcast episode, where historian John Hamer offers his theory as to how the Book of Mormon was created. These episodes are best seen as a continuation of our discussion from earlier this year wherein John Hamer provides a 19th Century context for The Book of Mormon. John Hamer graciously created a number of slides that give important visual cues to his research. How do we KNOW that Joseph Smith Sr’s dreams preceded the publication of the Book of Mormon? Is there evidence they were discussed before Lucy mentioned them decades later? 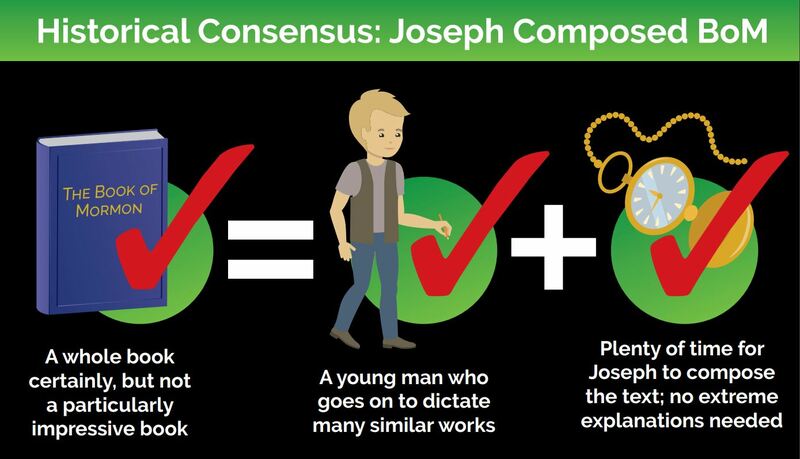 Bushman suggests that Lucy herself may have fabricated aspects of the dream to parallel Lehi’s dream in 1 Nephi 8 in order to bolster the status of her husband and make him more like Lehi as the predecessor and father of Nephi/Joseph Jr.
As John Hamer points out oral dictation only seems impressive to us because we’ve never trained ourselves. A 45 year old blind friend is dictating her novel. She’s been at it for about two months and plans to submit the last part of her 400 or so pages to her editor next week. She works on it from 8am until noon five or six days a week. I’ve read parts.. like many books it’s much better written than the BoM. She’s a riveting storyteller by the way..
What about the influence of The Late War and Captain Kidd’s adventures on the content and style of writing of the book of mormon? This podcast makes it very difficult to distinguish between opinion and referenced fact. Podcasts make it very easy to state an opinion as fact because words float by quickly and the opportunity to ponder them and read references and other sources does not exist. If this podcast truly wishes to be fair and honest, they need to hold themselves to the same standard they hold The Church of Jesus Christ of Latter-day Saints. All podcasts need to be transcribed and cross referenced.